When is the last time you thought about updating your bathroom? The bathroom is a part of the house that rarely gets the spotlight, but it might be one of the most used rooms of the house. If you’re like most people, you probably haven’t given much thought to updating or remodeling your bathroom. But there are many reasons to think about giving that much-utilized room a facelift. It’s time to update your bathroom’s look. Are you still using a bathroom with pink tile from the 1960s? While your tub and shower might be functioning, the atmosphere around it could be be in dire need of a facelift. A fresh coat of paint or new tile on the shower walls goes a long way in creating an enjoyable space for you to start each day. A new, more modern bathroom can also add value to your home. For a basic to mid-range remodel you can see as much as 60% back in resale value of your home, while upscale remodels will get as much as 67% return on investment. Take advantage of new features. New technology is improving our lives all over the home, including the bathroom. A remodel gives you the opportunity to take advantage of some of the new features found on today’s toilets such as no-touch flush, heated seats and bidets. You’ll also find new toilets and showers are much more environmentally friendly, with low-flush features using as little as 1.5 gallons or less per flush, and low-flow shower heads that envelop you with water like soft raindrops. One of the newer trends we’ve seen at Rothrock Renovation & Remodeling are zero-entry showers. While you have to have the right type of room to apply this scenario, the completed look is very elegant and upscale. Make more space. Older homes typically were designed with much smaller bathrooms that we find in today’s homes, so many people embark on a bathroom remodel to give them more space to move around and provide more storage. Renovating gives you the opportunity to add that full-size tub you’ve always dreamed of, or put in new cabinets to hold all the towels and bath products your growing family needs. Improved accessibility. That claw-footed tub that you dreamed of in your 30s isn’t quite as fun to climb into with aching knees and a sore back now that you’re in your 60s. 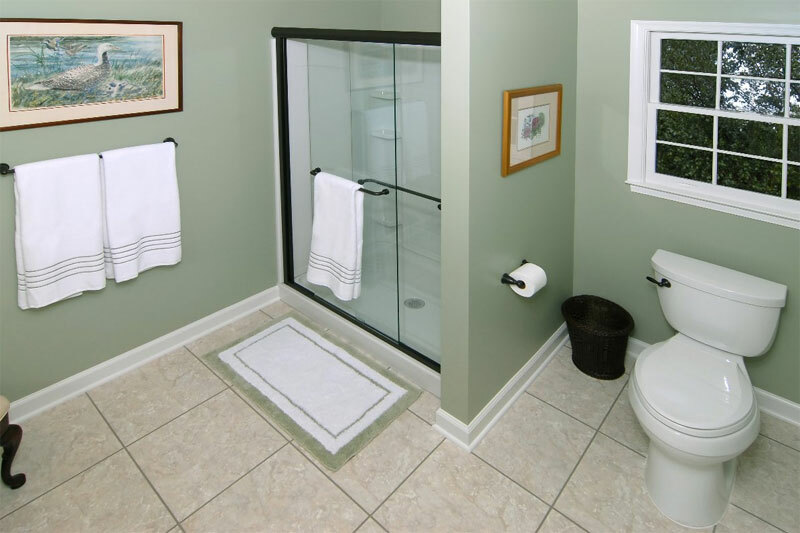 Many people consider a bathroom remodel to help improve accessibility. From walk-in showers to higher profile toilets, there are a lot of great options to keep your bathroom functional yet attractive. Light it Up. Lighting is an important feature to consider when renovating a bathroom. Many of our clients will choose to upgrade current light fixtures, or even add new lighting to make the room more inviting and convenient. Recessed lighting over the vanity is a good feature to consider. You might also think about different types of fans and ventilation. It’s also fun to think outside the box with lighting options. Recently we put a ceiling fan in a bathroom which added an interesting design feature. 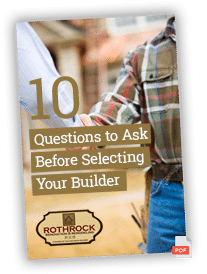 If you’re interested in remodeling or updating your bathroom, contact the team at Rothrock Renovation and Remodeling. We have years of experience in bathroom design and can help you find the right fixtures and improve the functionality of your bathroom to fit your family’s specific needs.